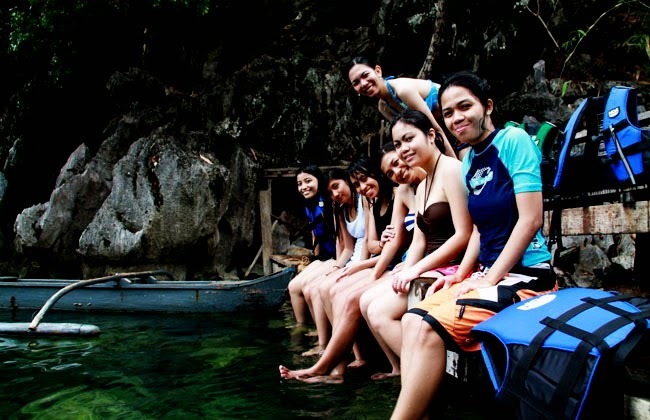 I was looking through old pictures in my laptop and found my ‘Coron Palawan’ album. 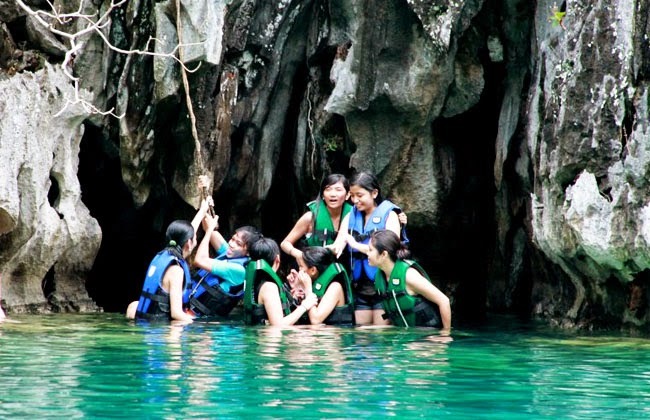 And I suddenly missed going on a trip like this with friends. It was one of the days where we just had fun, gone far away from the busy cities, and just appreciated the beauty of nature in the Philippines. 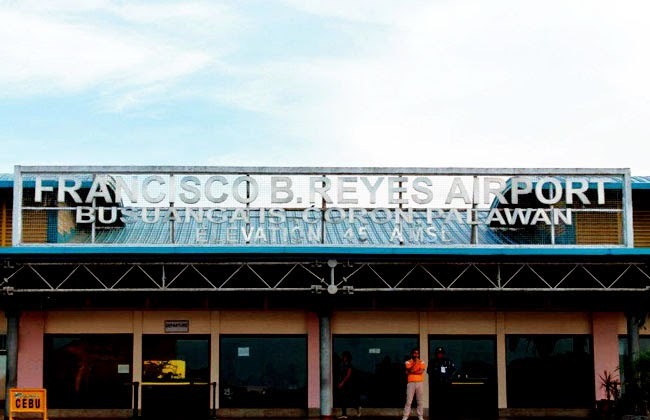 From Manila, we have booked a flight through one of the major local airline which took us a 1 hour travel time to Francisco B. Reyes Airport in Busuanga. 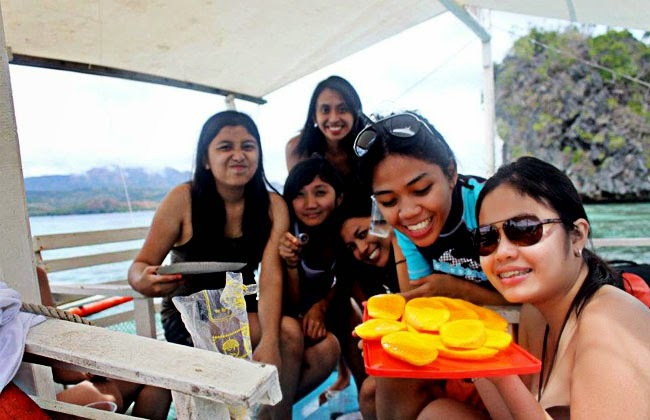 From there, we were picked up by a van that drove us to the town proper of Coron. 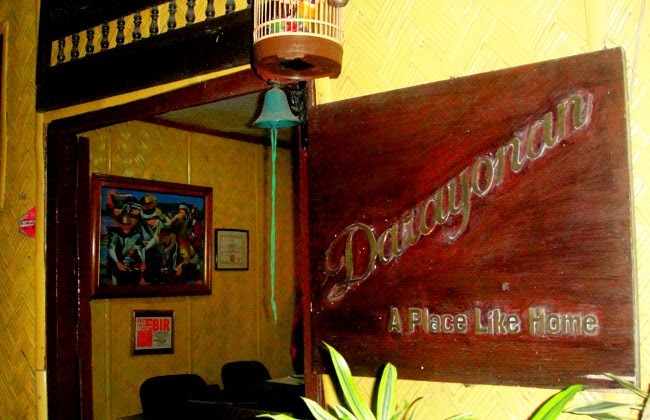 And as far as I can remember, the roundtrip airport transfer was part of our 3D/2N accommodation package at Darayonan Hotel. But if ever airport transfer is not included in your package, you can catch a van outside the airport that will bring you to Coron town for Php 150 per person. 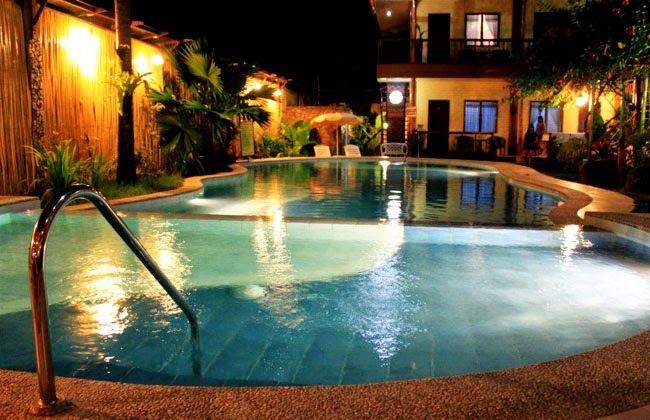 We stayed at Darayonan Lodge and for me this is already a good location when you plan to stay in Coron. They have reasonable price, there are restaurants that are walking distance only, also near stores, and from here you can go to the pier (500 meters away only) which is the jump off site for the island tour. The following day was our island tour, from Darayonan Lodge we took a tricycle and told the driver to drop us off at the pier or port. 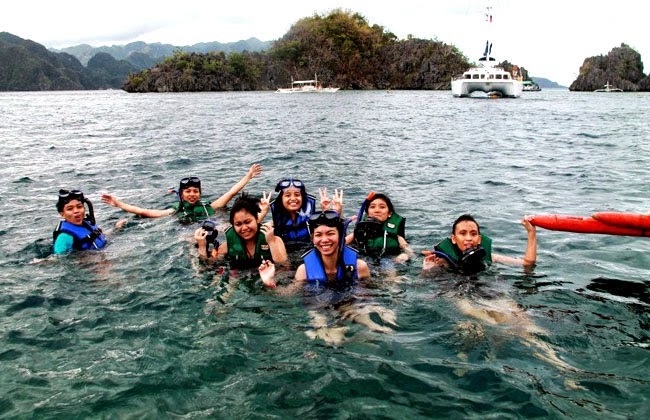 From there you can meet tour guides that you can negotiate on for your Coron island ultimate tour. 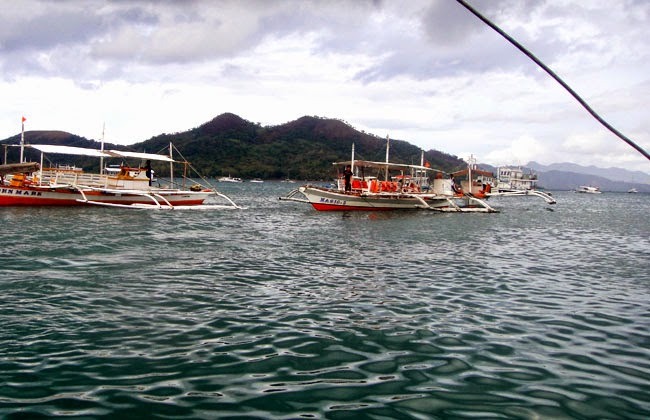 Off to explore the island of Coron! 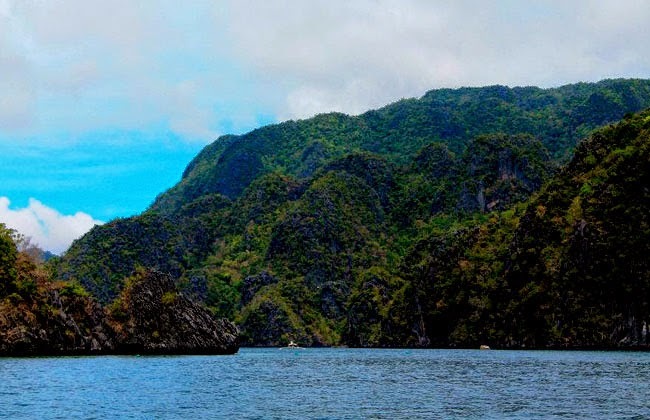 As we started off our tour, I just felt the excitement because little by little I can now see limestone rock formations that Palawan is known for and the super clear sea water. Siete Pecados or Seven Sins is a cluster of seven islets with rich marine life, abundant corals and fish of various species. The legend has it that seven sisters went swimming against their mothers will; all of them drowned and afterwards seven islands appeared. 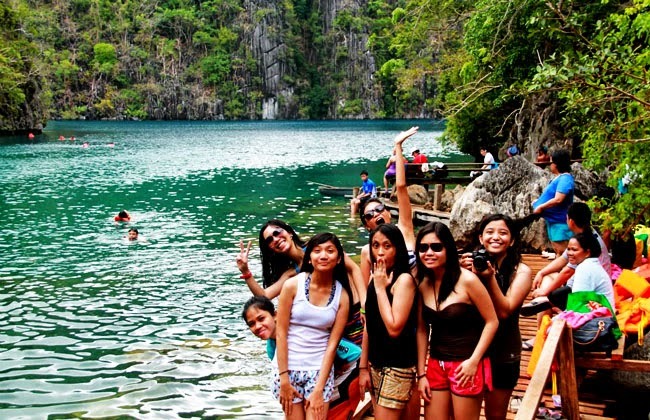 One of my favorite spots in Coron and also one of the reasons why I would really love to go back to this place –it is the Kayangan Lake. 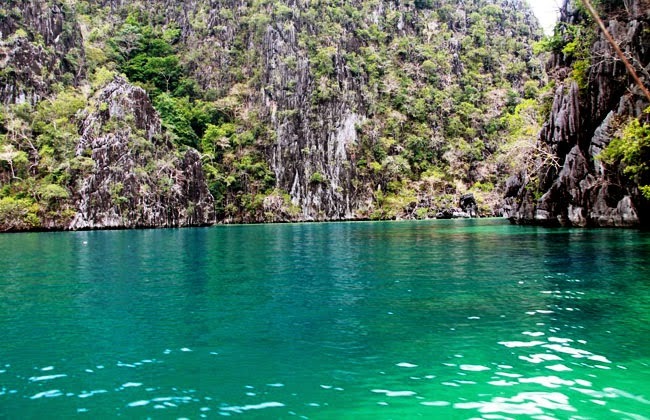 Kayangan Lake, one of the cleanest lakes in the Philippines, is considered a sacred place by the Tagbanua tribe of Coron Island, Philippines. It is 70% fresh water and 30% salt water. The water is very clean! Before you reach this place, you need to trek an approximately 300 steps of steep path on a tropical rainforest for around 10-15 minutes. 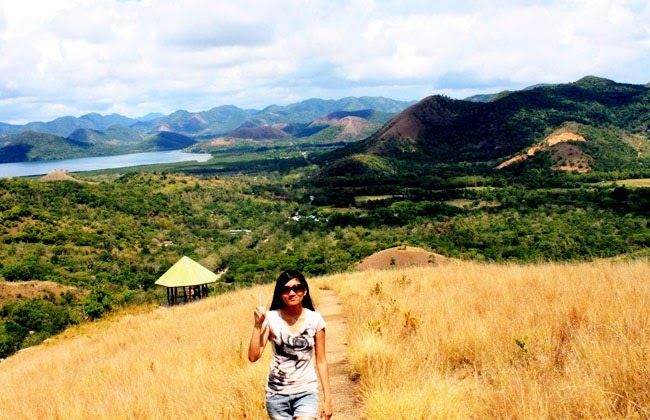 And then midway through the climb, we stopped to catch a glimpse of the view of Kayangan Bay. 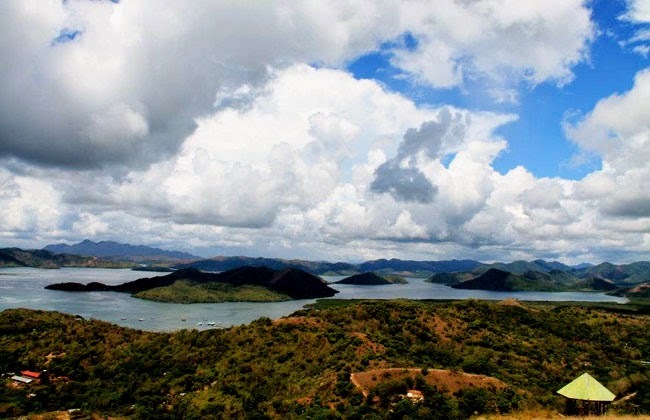 I am sure you are familiar of this spot because I think this is the most photographed view in Coron. We took some time on this spot because we really liked the view in here; it was just the perfect place for taking pictures overlooking the lagoon. It was paradise! :) It also felt like I was just looking on a postcard, it was surreal. After we stopped on this spot, we walked down now to reach the lake. And as we got nearer, I saw the amazing crystal clear water of the lake. I got really excited to take pictures and just dive in to swim. The lake is huge, the water is very clear and calm, and you would really just enjoy swimming in to it. It is very relaxing; you’ll definitely find peace on this place. This is a MUST SEE spot on the planet! 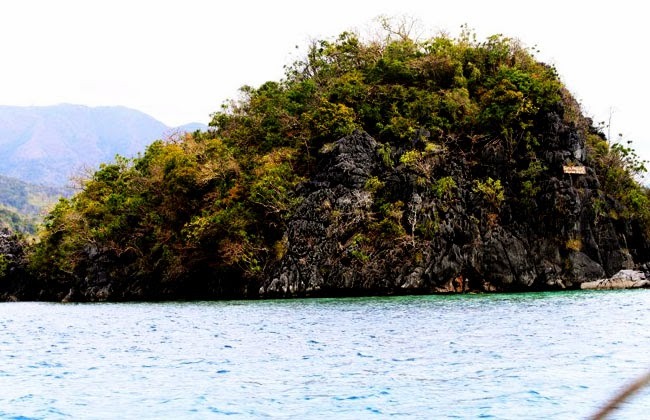 Then at the far end of the lake, there is a small cave within the limestone formation. We just fooled around there and took some pictures as the cave makes a good background. 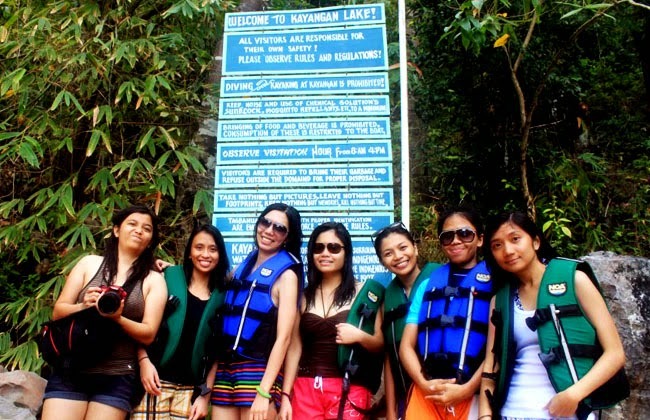 After having fun at the Kayangan Lake, we got back onto the boat and saw these!! Our lunch was cooked by our very own tour guides. 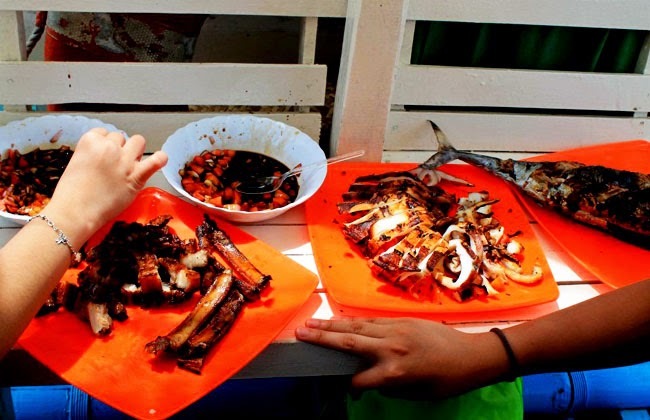 We had grilled squid, fish, and ‘liempo’ plus the sauce (‘toyomansi’, ‘kamatis’, ‘sibuyas’) and for our dessert ‘matamis na mangga’ FTW! But before we ate those, our tour guides brought us first on the middle of nowhere and there we ate our lunch. It was such an amazing day, one of the best lunches I ever had. 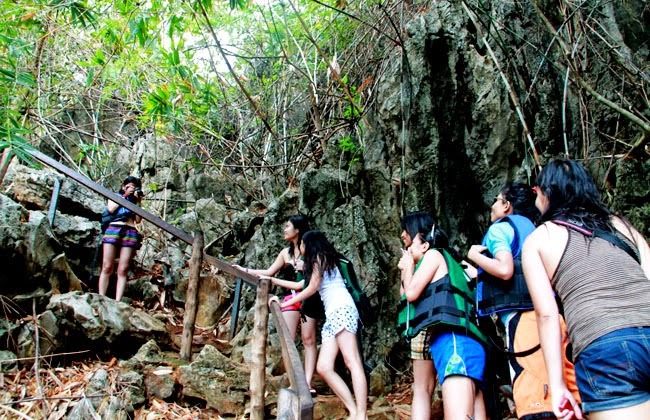 Imagine we were surrounded by different limestone rock formation and stunning sea view. Seeing all of these while we were eating, chatting, and just having fun is definitely an awesome experience! Twin lagoon from the name itself consists of two lagoons (outer and inner). The first lagoon is where the boats dock. 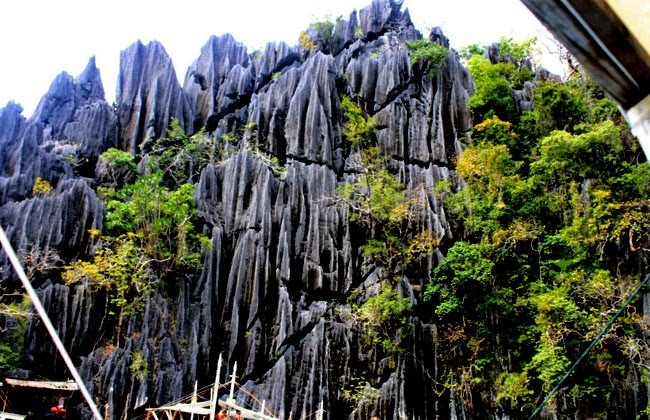 So this was our first stopped and we witnessed a breath-taking limestone rock formation. This was the best I’ve ever seen; it was an amazing kind of nature. 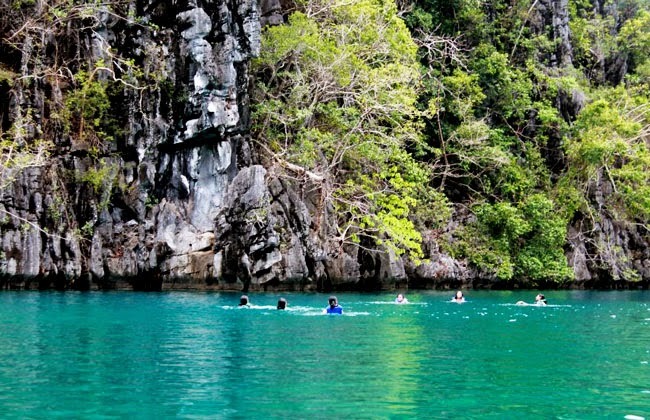 Then the second lagoon is hidden, and before you can reach it, you need to swim on a small gap underneath the rocks. And you really need to be careful when you cross this opening because you may hit your head while passing onto it. That’s why I think they have made already a ladder over the rock that can be used during high tide. When we entered the second lagoon, we were really surprised on what we saw beyond that gap. The inner lagoon is huge and deep. 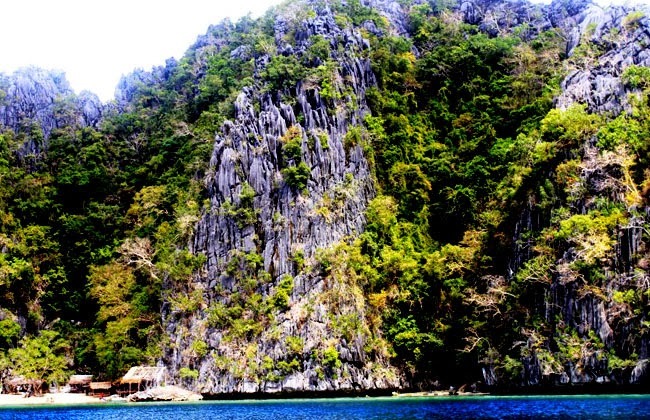 Inside, we were like encapsulated with towers of limestone rock formations and swimming into the body of crystal water. There’s also one part on the inner lagoon where the water is kind of blurry, and this is caused by the meeting of the salt water and fresh water. And I myself was an eyewitnessed. A marvelous God’s creation! ( Sorry I don't have pictures on the inner lagoon as we don't have an underwater camera and we didn't risk on crossing our camera on the small gap that we needed to pass on). 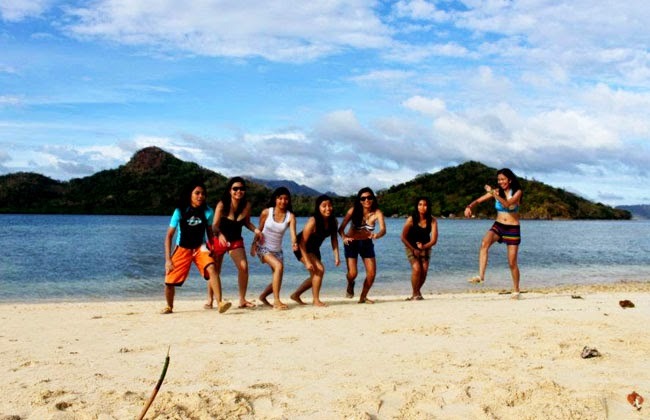 After our tour on lakes and lagoons around Coron, of course we won’t miss the beach. 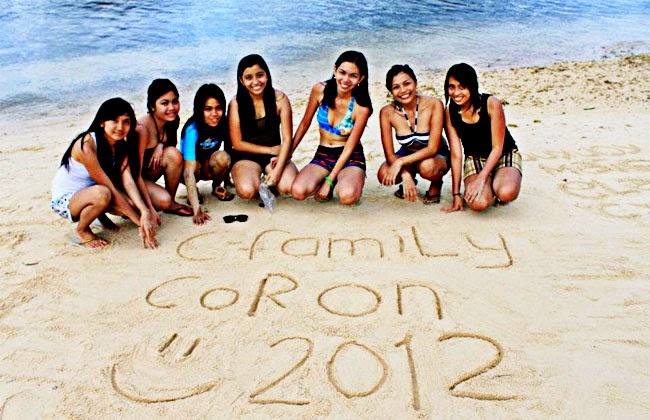 Coron is also reach on beaches. And CYC is one of them. 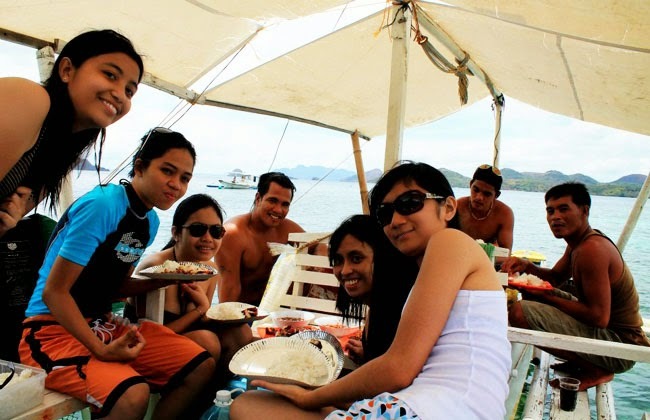 CYC (Coron Youth Club) Beach can be found in a very small islet which is still part of the Coron Island. 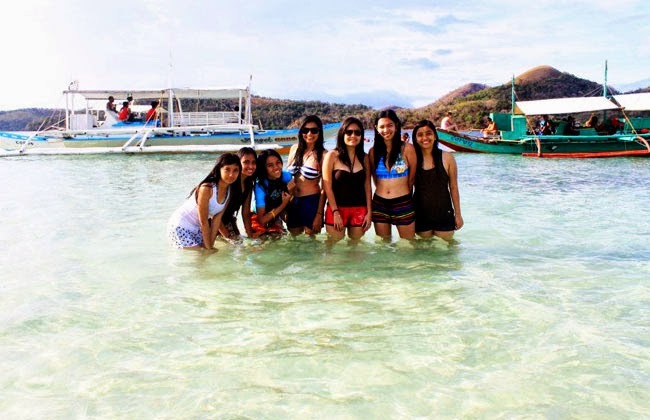 It has white sands, clear waters, and amazing view. 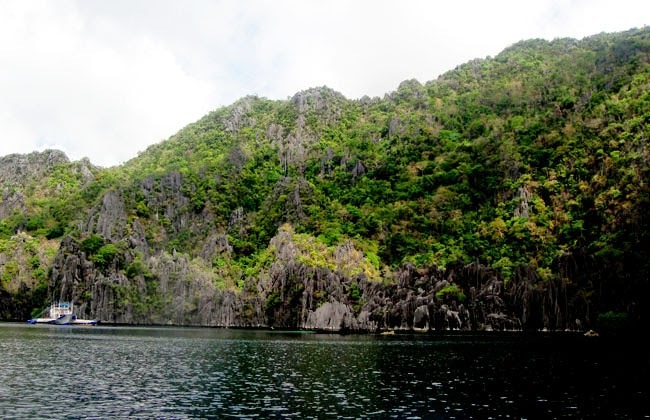 Then on our last day in Coron, we were able to visit the Mt. Tapyas. We just walked on an ascending street that leaded us to the jump off point of Mt. Tapyas. Good thing that our hotel was just near from there that’s why we didn’t have a hard time finding our way. Mt. 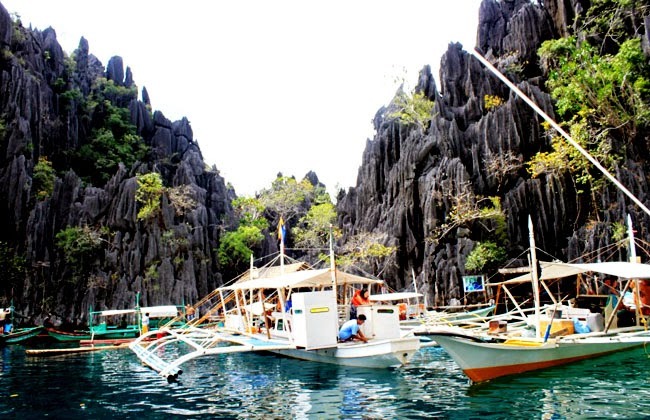 Tapyas is one of the most visited and popular tourist destination in Palawan island. The height of the mountain is around 210 meters high above sea level. 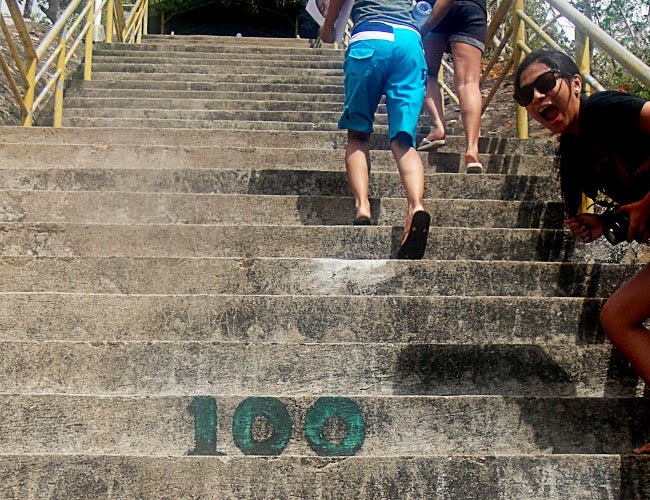 It requires 718 steps to climb in order to reach the summit of the mountain. Climb to Mt. 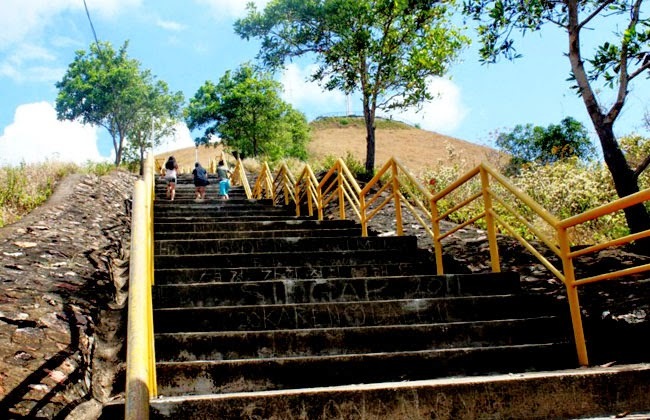 Tapyas is safe and fairly easy as the path is smooth and cemented with handrails on the side. 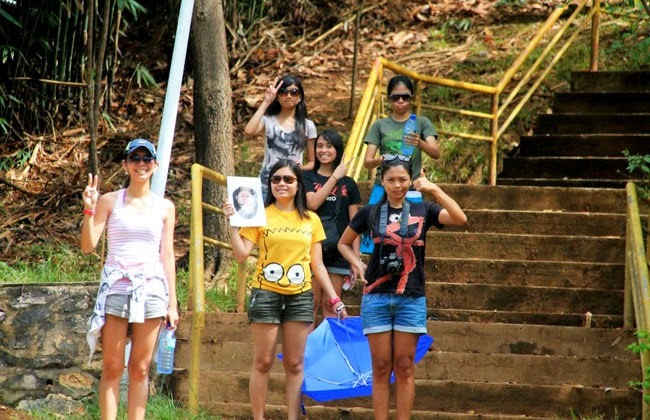 I would suggest to bring an umbrella and water while on the climb. 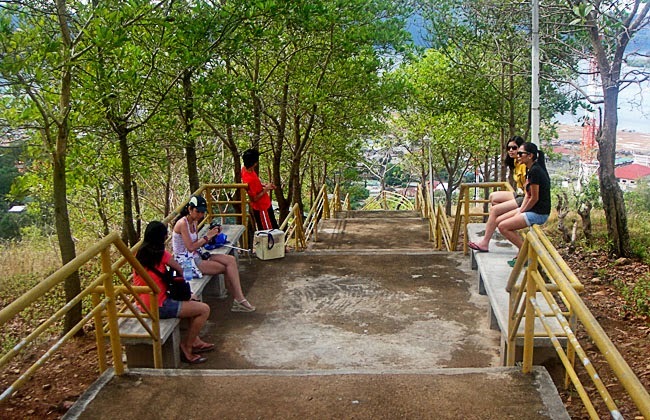 You can also find benches to rest on along the climb. And after the 718 steps. 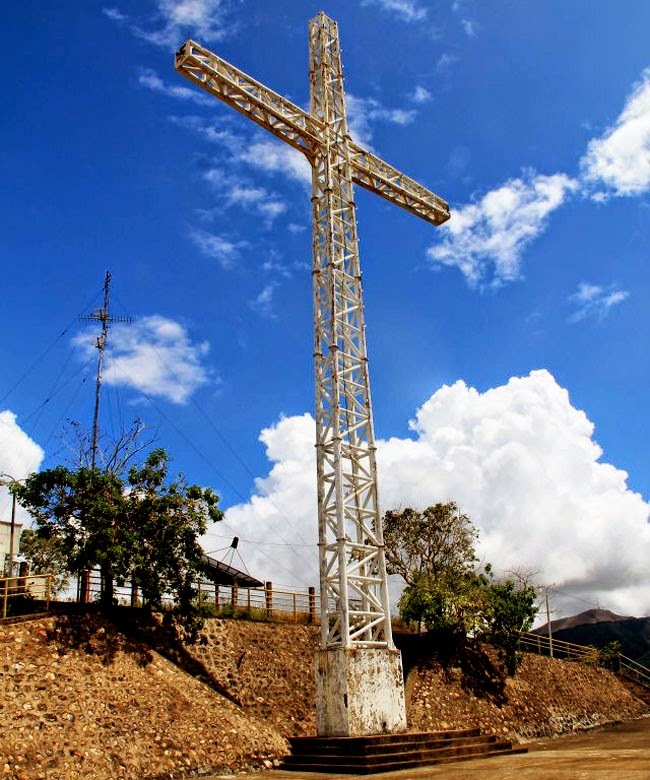 You will see the a giant cross and now you have reached the peak of the mountain. 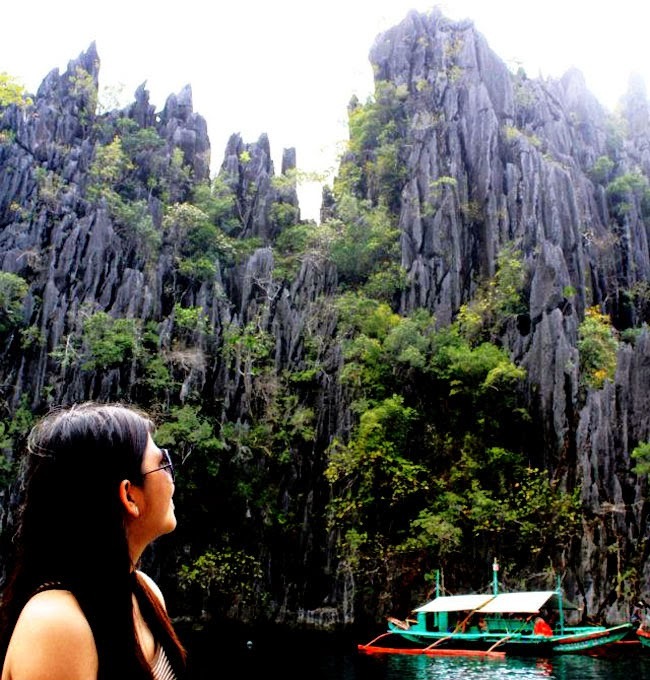 I found so much beauty and peace exploring the island of Coron. I would really suggest for all who love to travel to don’t miss this place on your bucket list. 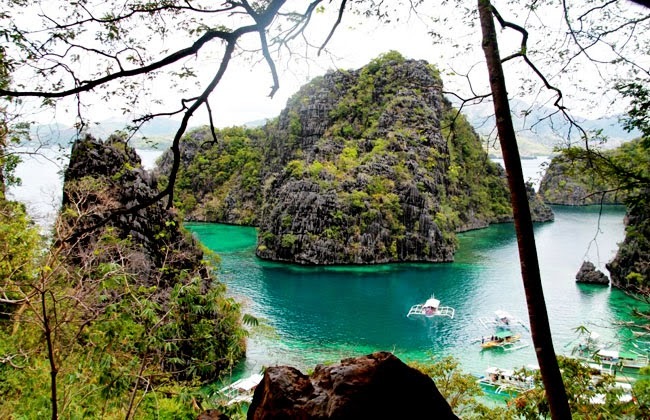 This is a MUST SEE spot in the Philippines. OMG! :( i missed you guys. 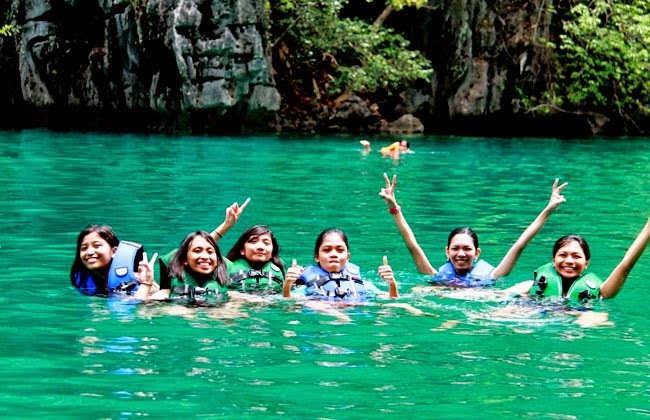 Coron is really one of the gems of the country. 'Hopefully next year, I'll visit it.